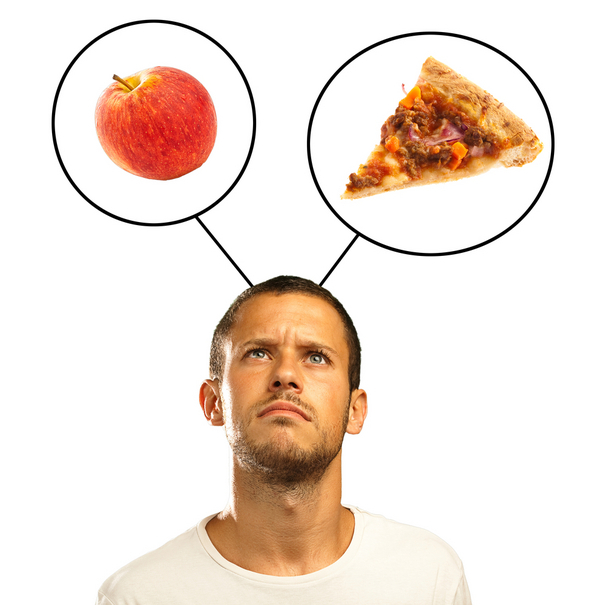 It’s funny: the smarter I get about the food, the harder it is to figure out what to eat. Eating didn’t used to be this hard. If I wanted a chicken club sandwich for lunch, I’d eat a chicken club sandwich for lunch. I didn’t worry about whether the bacon came from an industrial pig, about whether the chicken was free-range, about the provenance of the bread, the lettuce, the tomato. I didn’t worry about carbs or fats or nitrates, about having too little protein or too much protein or not the right kind of protein. I just ate and didn’t think about it. As a child, you don’t have to worry about these things. The decisions I remember making as a kid, as far as what to eat, were decisions like: what ice cream flavor do I choose? What breakfast cereal will I make my parents buy for tomorrow morning? 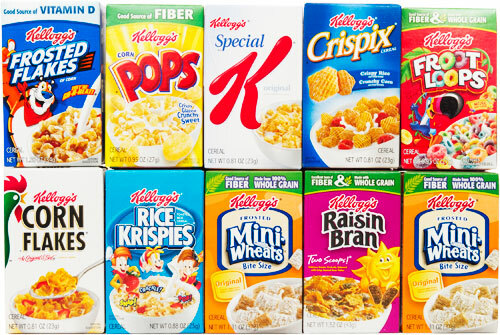 If I buy a cereal snack pack, will I enjoy all the cereals in there or just the Corn Pops? Then, in college, the decisions were more like: what toppings should I get on the pizza that I’m ordering? From the food court, do I want Burger King or Chick-Fil-A? Do I want to try this Jello shot? Why am I feeling so lightheaded? What am I doing on the floor of this frat house? And then–BOOM–college is over and the real world is suddenly upon you. As I made that final transition, moving from a dorm, my junior year, into an apartment my senior year, I started to venture into the kitchen. That’s when I discovered frozen California Pizza Kitchen pizzas and Pillsbury cinnamon buns that I could bake in my oven with very little fuss; and this food, however synthetic, would come out hot and fragrant and comforting and fulfilling and it was then, at that precise moment, that I started to learn how to feed myself. Now many years have passed–this was back in 2001–and feeding myself is something that I do very well. If I want to make a pizza at home, I’ll make it from scratch. Same for cinnamon buns (except I might burn them). Yes, I can feed myself well, and others too; but now the question that looms largest, that provides the biggest challenge, day-in, day-out is: What do I eat? On a typical day, I eat a banana for breakfast, a salad or sandwich for lunch, and something heavier (or more indulgent) for dinner. There’s usually a sweet in there somewhere: maybe a mid-afternoon snack (carried over from my after school days) and perhaps a treat later at night (a cookie, some ice cream, a piece of cake). I’ll limit myself to one coffee drink a day (don’t want to be over-caffeinated) though that drink might very well be an iced latte which amounts to a big tall glass of milk. This diet is certainly more hedonistic than, say, an athlete’s or someone who takes extra special care of their body. I mean, I could certainly do away with the sweets, the iced lattes, the indulgent dinners and the desserts; but I choose not to. It’s a trade-off: I don’t smoke, I don’t do drugs, and now I exercise. This is how I choose to live my life and yet, why am I filled with so much turmoil when it comes to choosing a meal? And so on. How did I become the Hamlet of having a meal? Am I the only one who puts this much thought into what I eat? I envy anyone who can just go through their day, eating Pop-Tarts for breakfast, burgers for lunch, and lasagna for dinner, without any sense of concern or fear or self-flagellation. If I did that, though, I’d: (1) gain tons of weight; (2) feel kind of gross; (3) die sooner. Is all this agita worth two months? No, but that doesn’t address the appearance issue and how I feel going through my day. 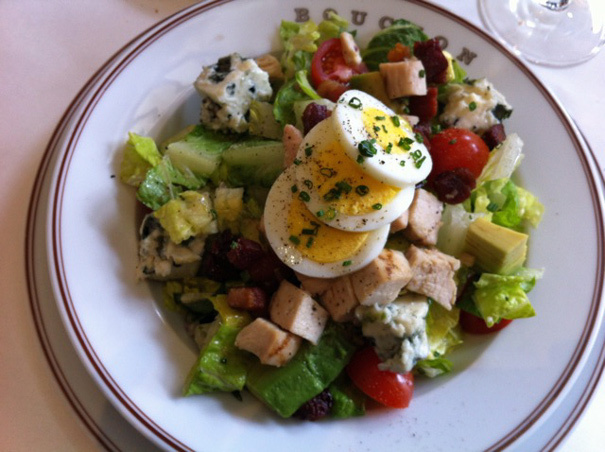 If I eat a heavy lunch, I feel sluggish and unmotivated. So a salad often makes sense. But then, you’re at a restaurant famous for their burger and you’re going to eat a salad? Ugh! Stop you, voices in my head! Do any of you relate to this internal struggle? Or do you just eat what you want and not worry about it? After 11 years of feeding myself, I’ll say this: cooking food is easy. Knowing what to eat, on the other hand, is hard work.